Born in the village of Kya, Ngatsa in Tibet to a prosperous family he was named Mila Th�paga, which means "Mila who is a joy to hear. But when his father died Milarepa's uncle and aunt took all the family's wealth. At his mother's request Milarepa left home and studied sorcery. When he heard his Aunt and Uncle were having a party to celebrate the coming of age of their son, he took his revenge by causing the house they were in to collapse, killing 35 people. The villagers were angry and set off to look for Milarepa, but his mother got word to him, and he sent a hailstorm to destroy their crops. 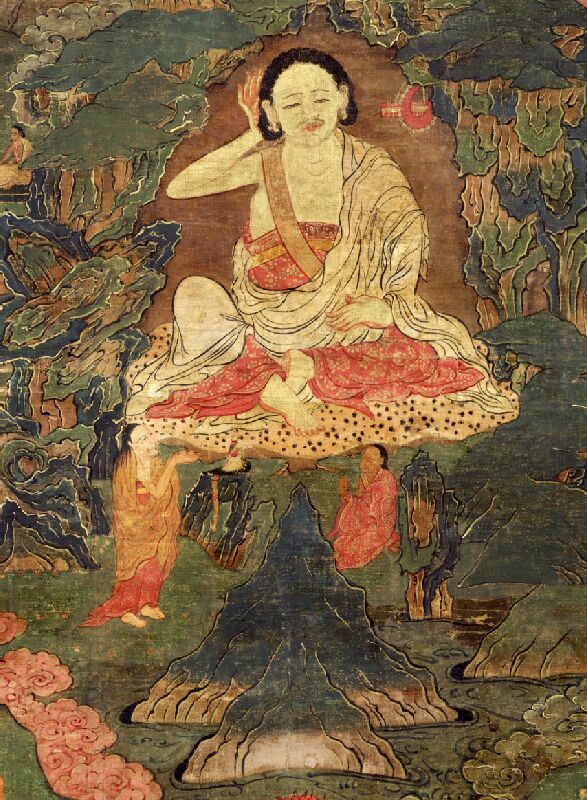 Milarepa knowing that his revenge was wrong set out to find a teacher and was led to Marpa the translator. Marpa proved a hard task master, and before he would teach him had Milarepa build and then demolish three houses in turn. 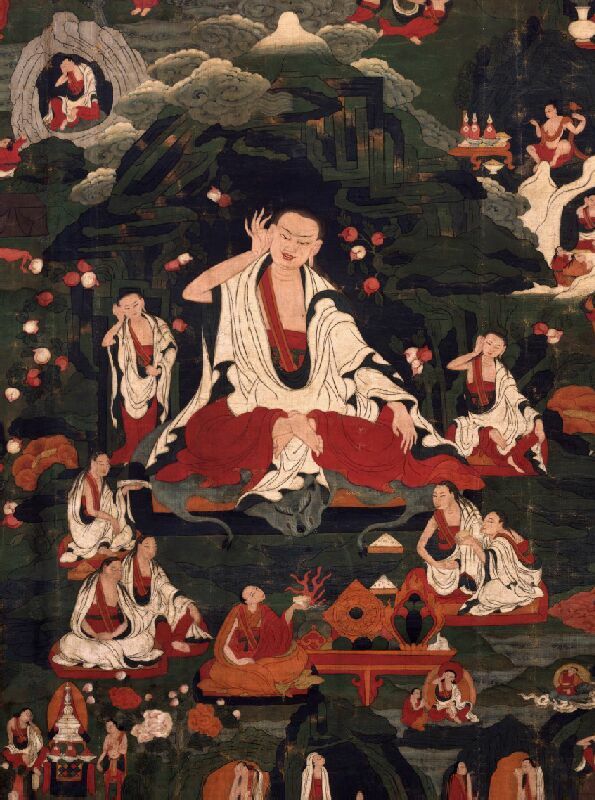 When Marpa still refused to teach Milarepa he went to Marpa's wife, who took pity on him. She forged a letter of introduction to another teacher, Lama Ngogdun Chudor, under whose tutillage he began to practise meditation. However when he was making no progress, he confessed the forgery and Ngogdun Chudor said that it was vain to hope for spiritual growth without the guru's approval. Milarepa returned to Marpa, and after practicing very diligently for twelve years Milarepa attained the state of vajradhara (complete enlightenment). He is said to be the first to achieve this state within one lifetime. He then became known as Milarepa, which means the "Mila, the cotton clad one" (the suffix "repa" is given to many tantric yogis since they wear white robes) At the age of forty-five, he started to practice at Drakar Taso (White Rock Horse Tooth) cave, as well as becoming a wandering teacher. Milarepa is famous for his songs and poems, in which he expresses the profundity of his realization of the dharma with extraordinary clarity and beauty. 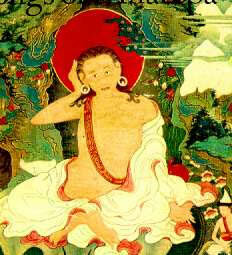 Milarepa had many disciples including Rechung Dorje Drakpa, Gampopa or Dhakpo Lhaje. 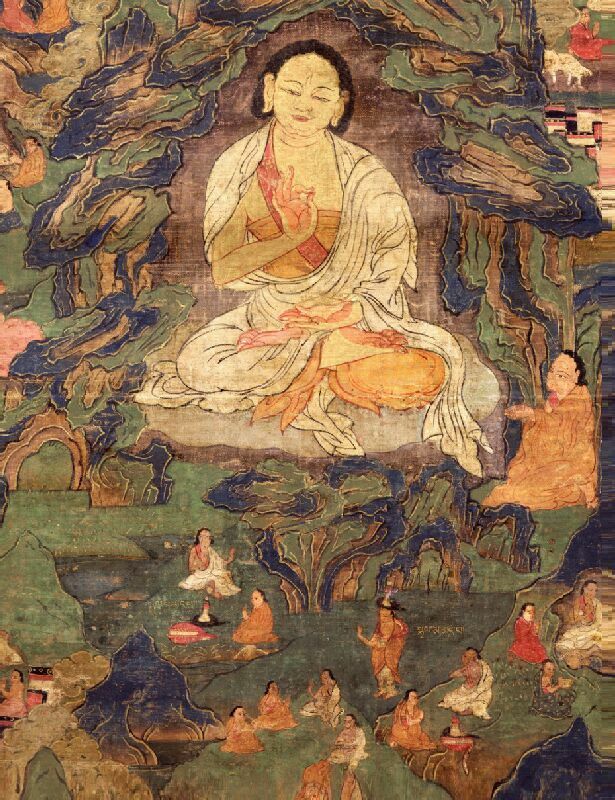 It was Gampopa who became his spiritual successor who continued his lineage and became one of the main lineage masters in Milarepa's tradition.